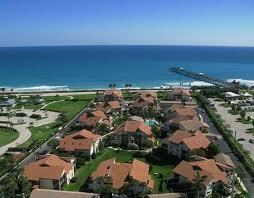 Beachcomber is a beautiful community consisting of 14 separate buildings, equaling a total of 56 condos. Each of the Beachcomber Condos offers an extensive 2 or 3 bedroom floor plan, screened in porch, and a detached garage or carport. The residents of the luxury Jupiter Beachcomber Condos can enjoy a number of amenities such as a gated entrance, security, a swimming pool and hot tub, as well as a private walkway to the beautiful Jupiter Florida beaches. For more information on Jupiter's Beachcomber Homes, please feel free to call or text us at (561) 371-7550, or email TheShattowGroup.